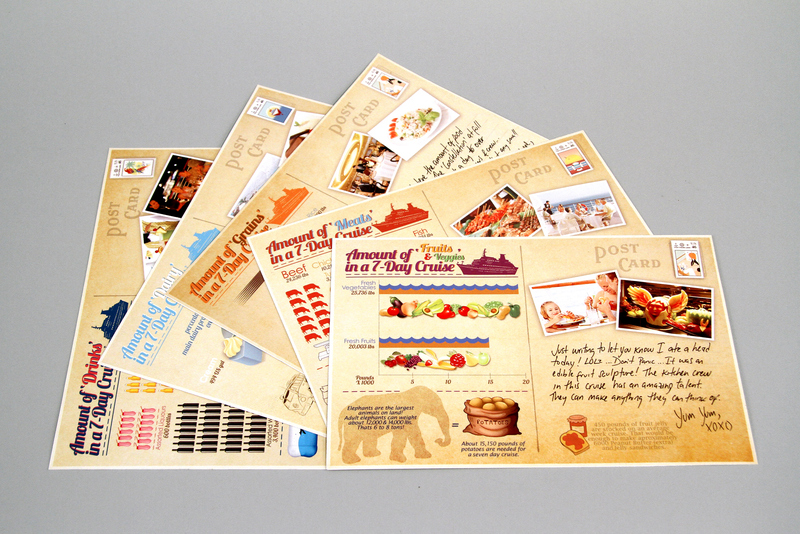 Infographics Project. 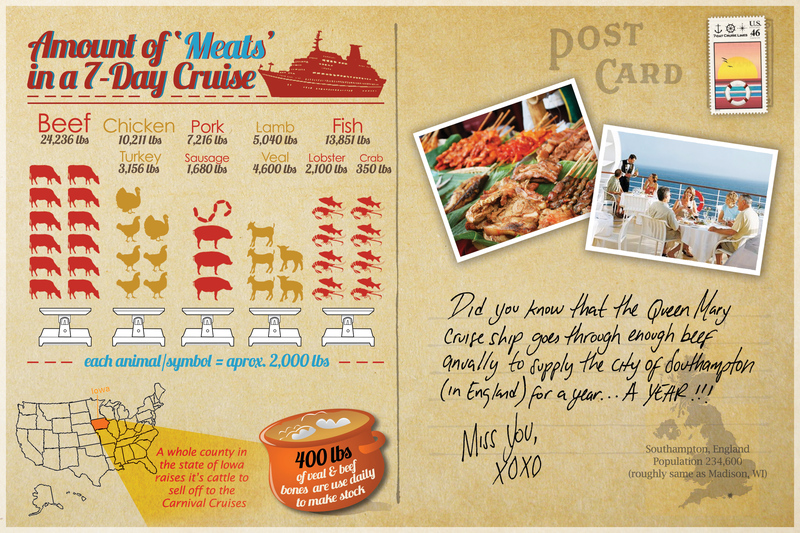 Statistical data of the amount of food needed to stock a 7 day cruise. 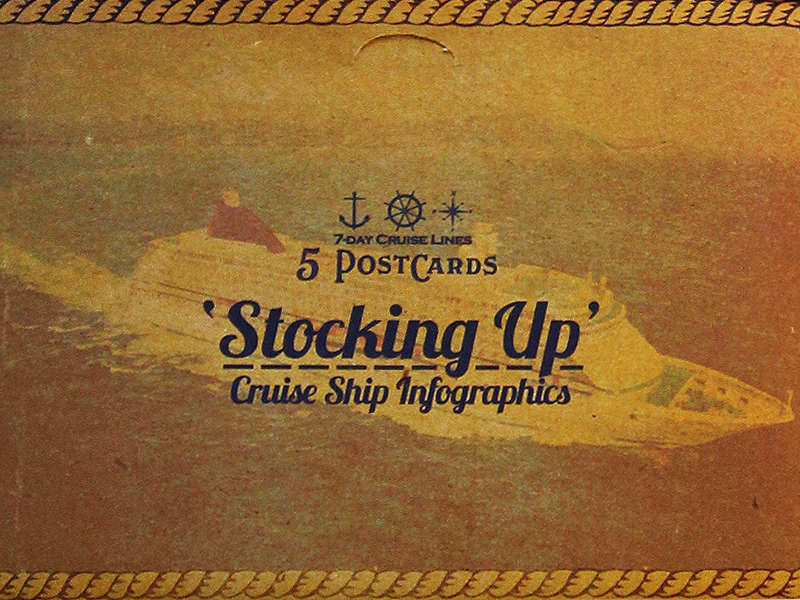 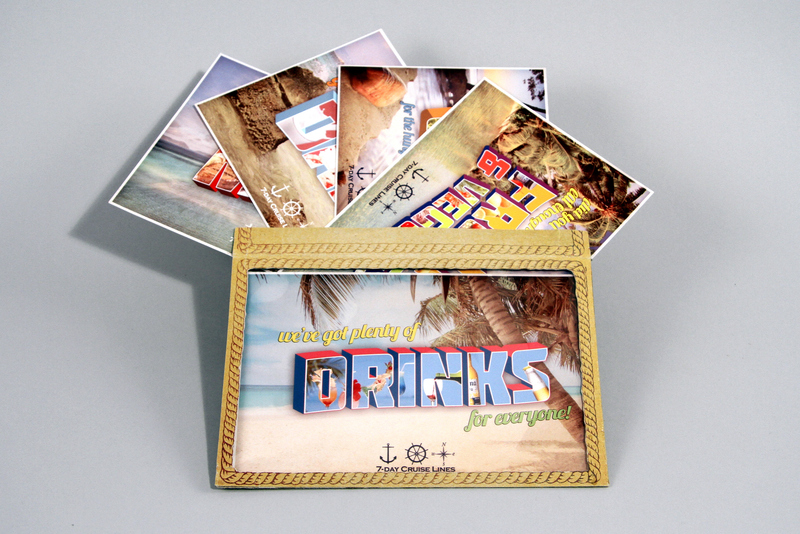 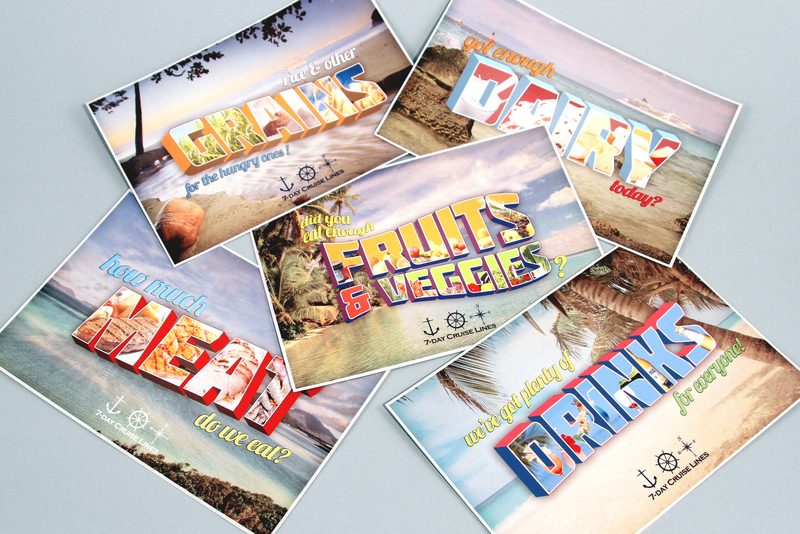 My concept was based on the idea of creating a pack of souvenir postcards that include the information as well as ties in the aspect of being part of and enjoying your cruise vacation.